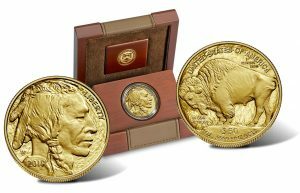 The highlight from the U.S. Mint’s latest weekly sales report is the first showing of the new 2019-W $50 Proof American Gold Buffalo. 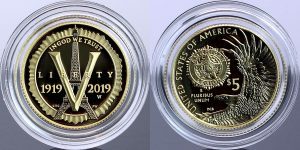 In 2020, the United States Mint will recognize the 400th anniversary of the Mayflower voyage by releasing a 1/4-ounce 24-karat gold coin and a companion 1-ounce .999 fine silver medal. 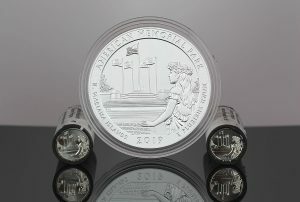 The Mayflower carried people from England to the new world, landing in Plymouth, Massachusetts, in 1620. 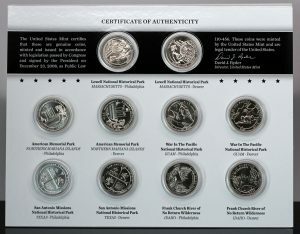 The latest round of United States Mint sales figures offer early results for the new collector coins depicting American Memorial Park in the U.S. territory of the Northern Mariana Islands. 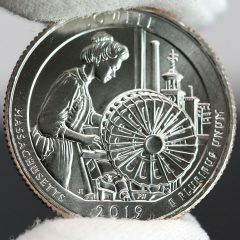 The United States opened sales last week of two collector products — an annually issued set of ten uncirculated quarters and a collector’s set for kids with three proof coins, three uncirculated coins, a coin blank, a magnifying glass, an activity book, and a coin folder. 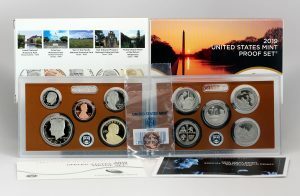 The bonus Lincoln cent included with the purchase of every 2019 Proof Set is boosting sales. 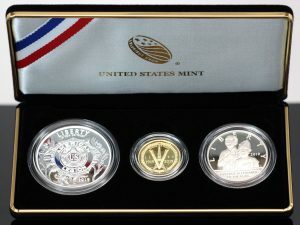 The set has led the popularity race among U.S. Mint products since its release in early March. 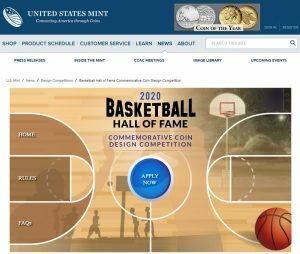 Artists from around the nation are being sought by the United States Mint to create a design for dome-shaped coins celebrating the sport of basketball. 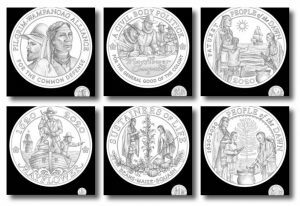 The winning artist will receive $5,000 and their initials will appear on each coin. 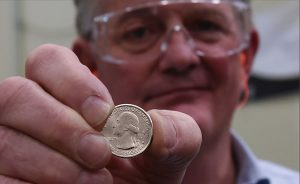 First-day sales of American Legion 100th Anniversary Commemorative Coins totaled to 39,671 pieces, according to United States Mint spokesman Michael White.